HYBC-901 is applied to measure the voltage ratio of three or single phase transformer. 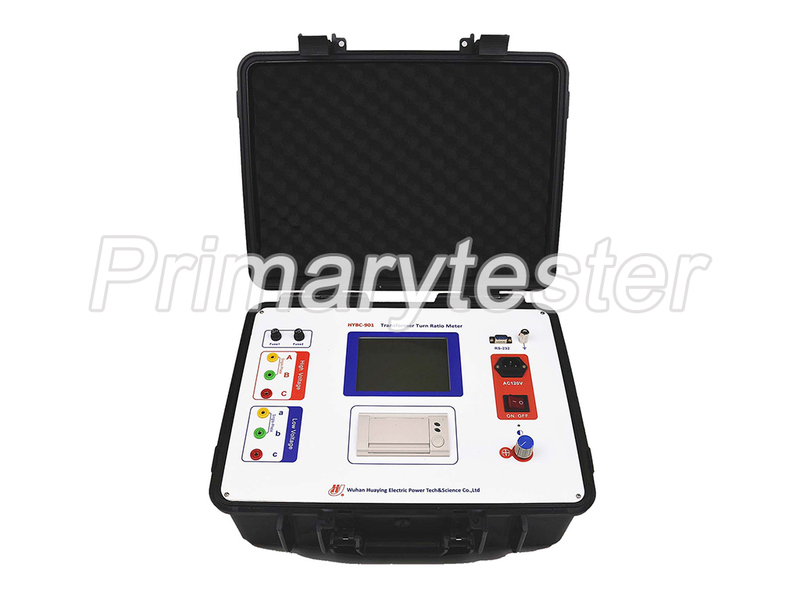 All the data and test results are showed on a 320*240 LCD. All the test results could be printed by the micro printer or saved on the storage of the tester. The tester has a good performance on auto protection and anti-disturb. 2. The group vector measurement of three phase transformer.